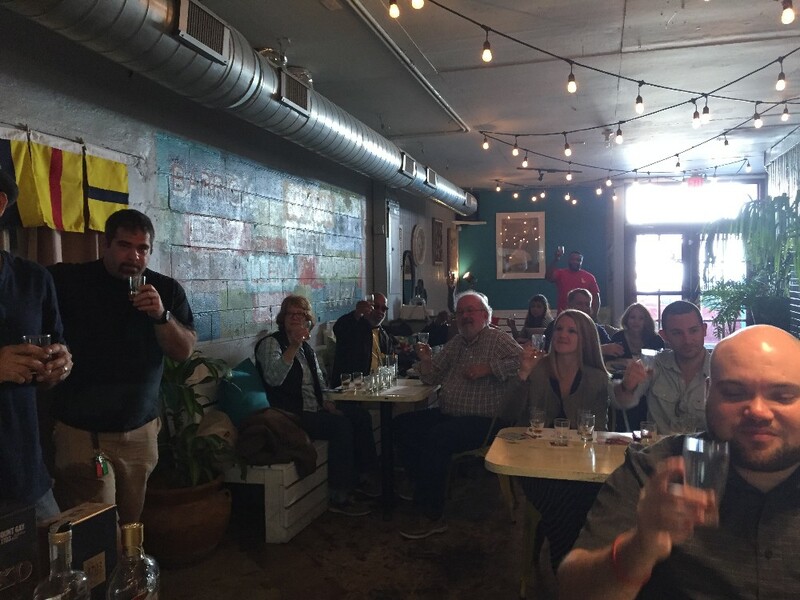 On Saturday, March 4th, the first meeting of the Charleston Rum Club was held at Cane Rhum Bar & Caribbean Kitchen in Charleston, SC. 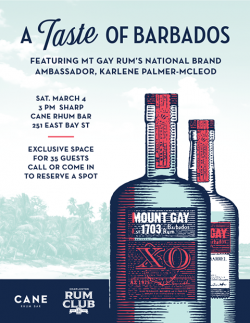 Cane’s owner, Paul Yellin, arranged for special “Taste of Barbados” featuring Mount Gay Rums hosted by Mount Gay’s National Brand Ambassador Karlene Palmer-Mcleod. 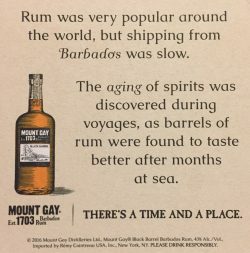 Thirty lucky attendees were treated to a tasting of Mount Gay expressions including Mount Gay Eclipse, Black Barrel, Extra Old (XO), and 1703 Master Select. 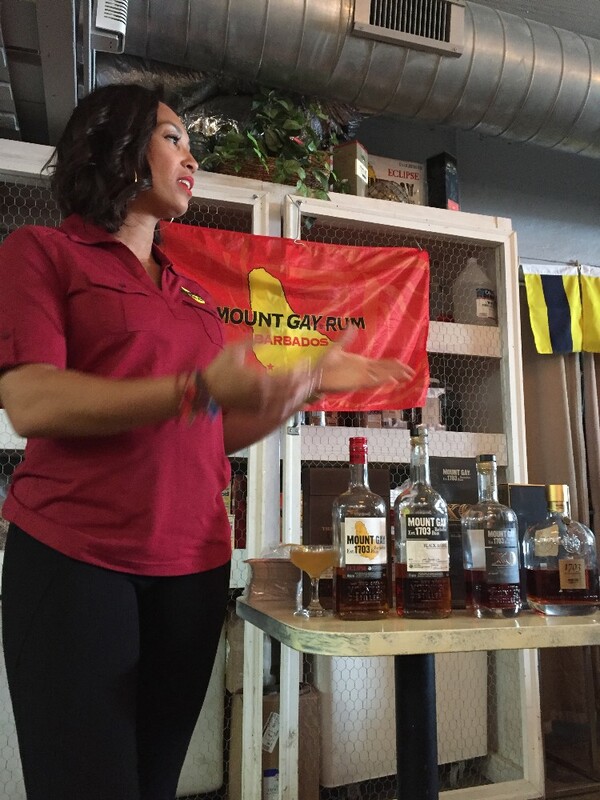 As an added treat Karlene had a few samples of Mount Gay’s Limited Edition XO Cask Strength flown in from Barbados. 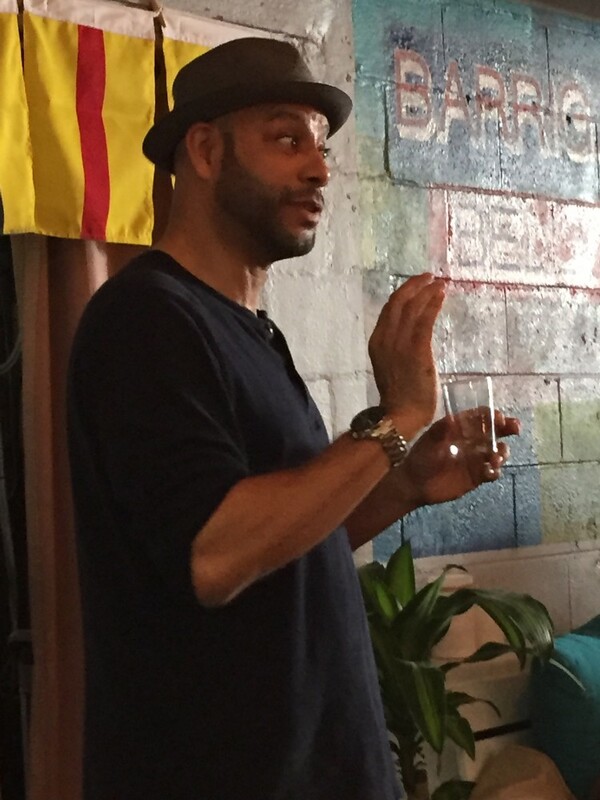 After the tasting I was finally able to visit South Carolina’s most authentic tiki bar, Voodoo Tiki Bar and Lounge. 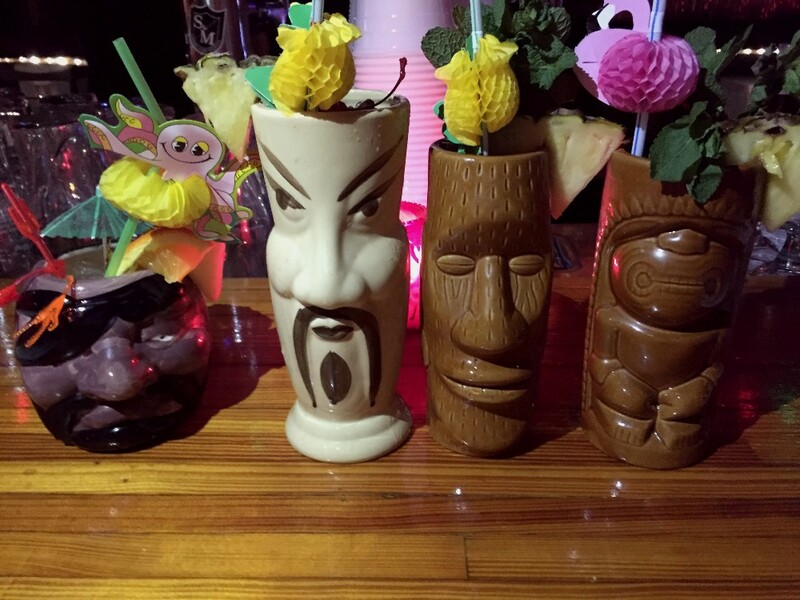 Voodoo has been serving nearly authentic tiki drinks since 2005. 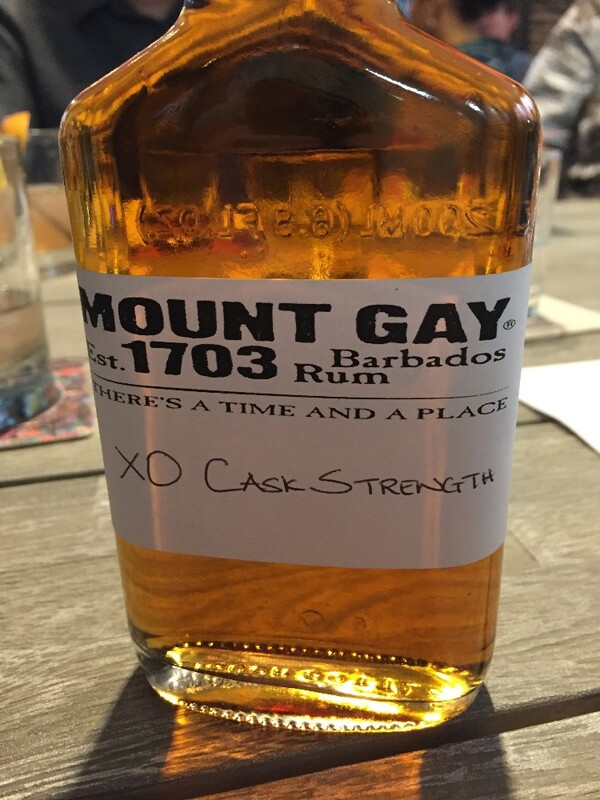 As a special treat we all enjoyed a sampling of the extremely limited edition of Mount Gay XO Cask Strength. 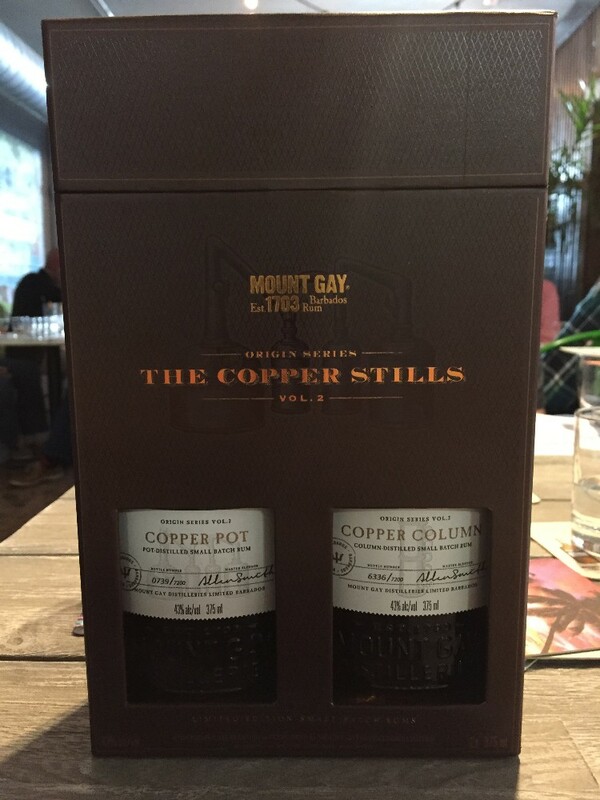 As a special gift to the host, Mount Gay presented Paul Yellin with The Copper Stills Volume 2 Special Edition. 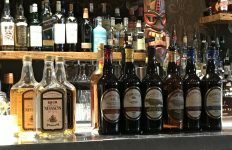 It will pair well with Paul’s Volume 1 Edition maintained in his personal rum collection. 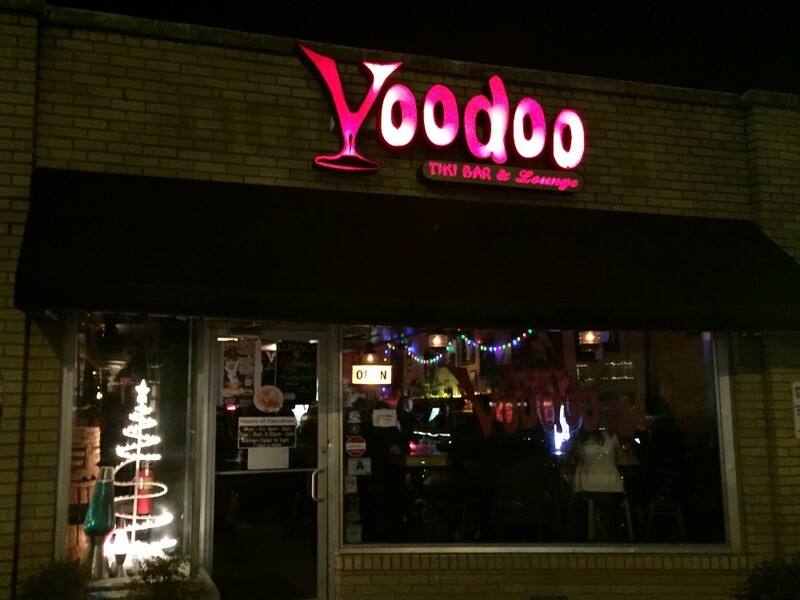 After dinner we crossed the Ashley river to visit Voodoo Tiki Bar and Lounge. 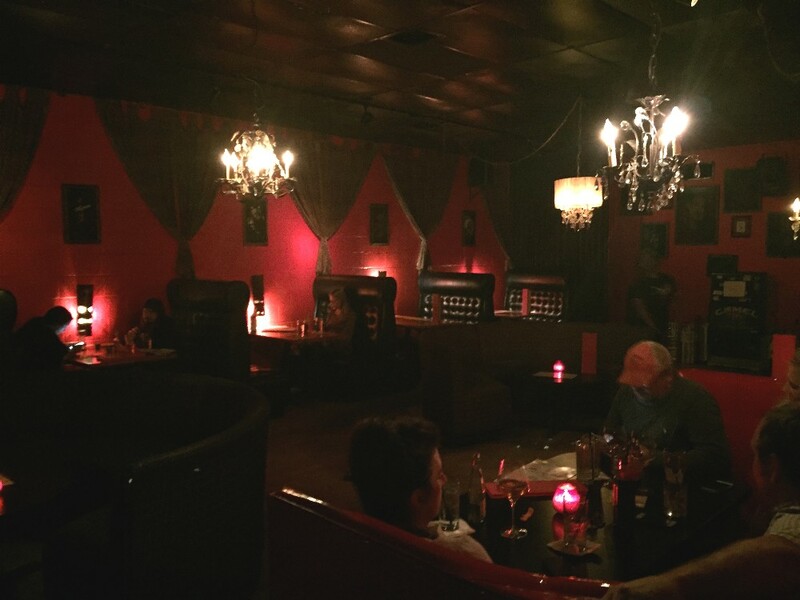 Voodoo’s bar side is lined with bamboo shades and velvet paintings. 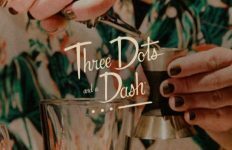 They have a well stocked bar and a small kitchen. 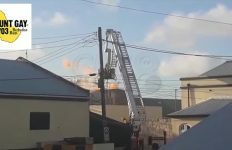 The sound system is quite LOUD! 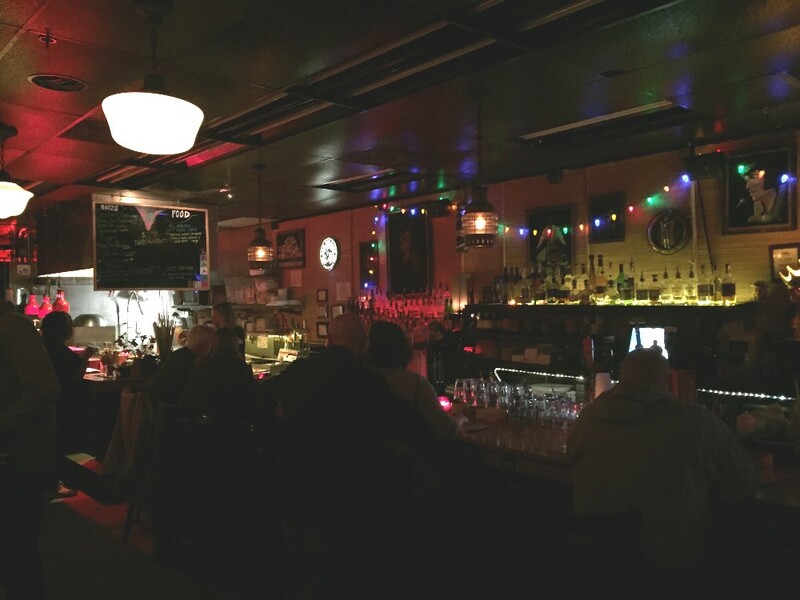 On the Saturday night we visited the music was current dance, R&B and Hip-Hop tunes. No exotica, surf rock, or rock-a-billy. This was very disappointing because no one seemed to be there to dance. 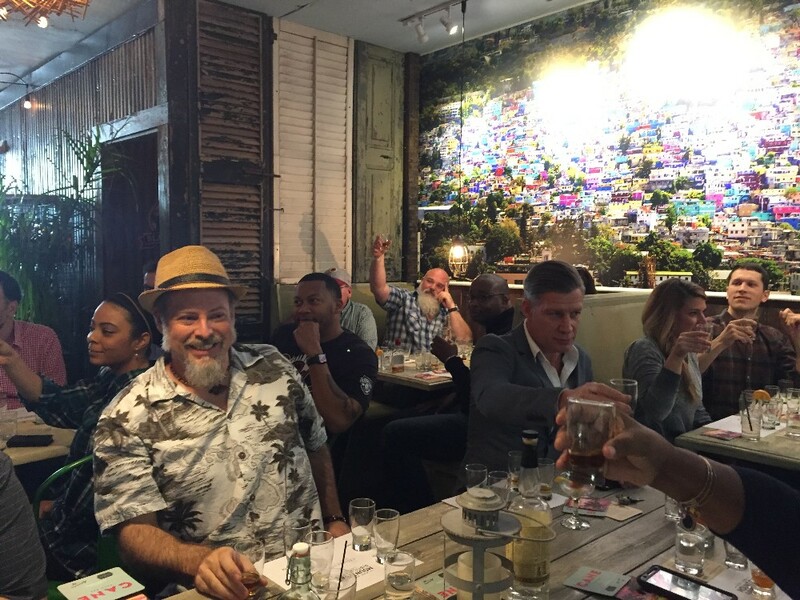 Most patrons we carrying on intimate conversations in groups of 2-4 people. 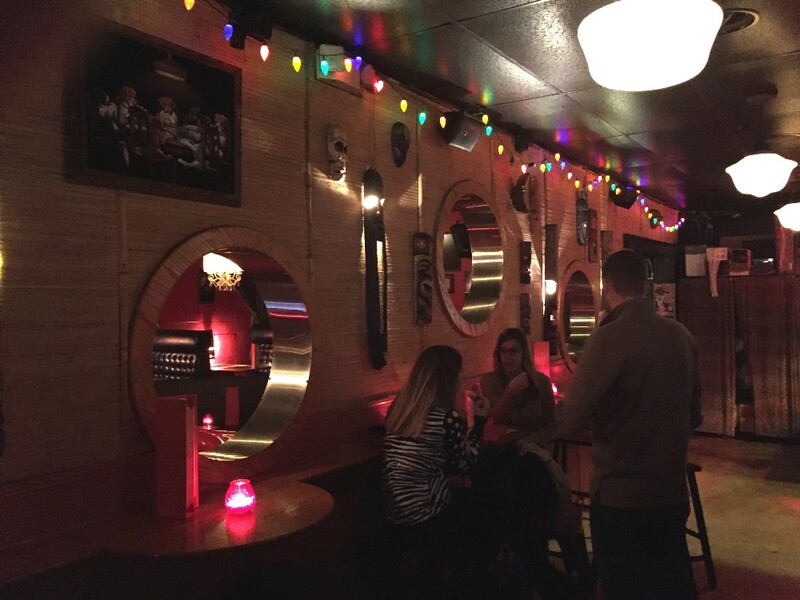 The lounge side of Voodoo maintains the light tiki decor with a number of booths and vintage chandeliers. 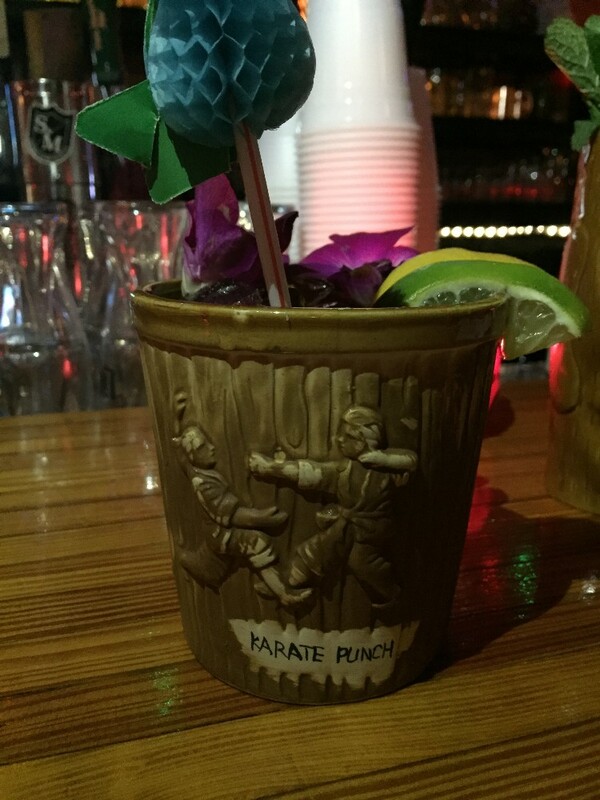 Voodoo’s tiki cocktails tend to be sweeter than I am used to because they don’t use fresh juice. Overall their drinks were fairly fairly balanced. 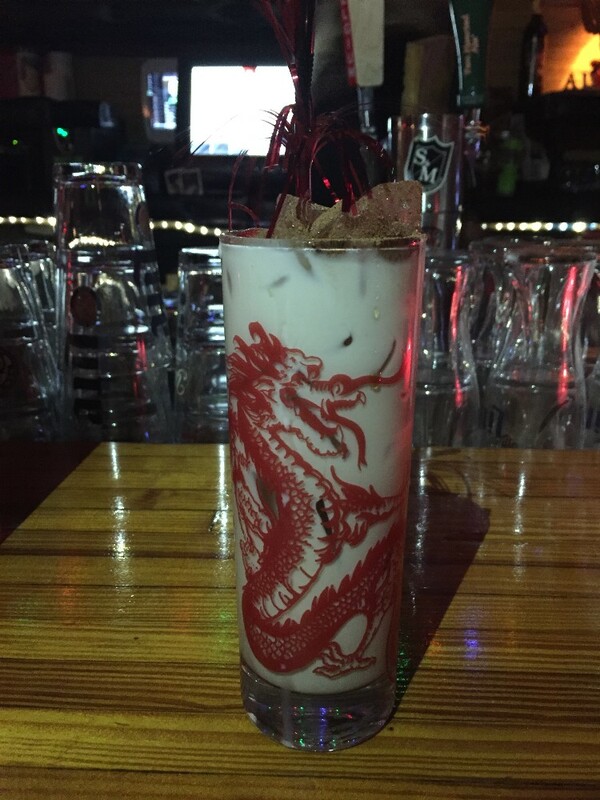 a Milk Punch topped with freshly grated nutmeg served in a vintage dragon glass.